The aim of this study was to understand the changes of floodplain vegetation following the disruption of lateral connectivity from streams by levee construction under the temperate monsoonal conditions of South Korea. We compared the plant community structure and selected environmental variables in paired floodplains, one connected to the stream inside a levee and the other isolated by a levee. Cluster analysis of the vegetation identified ten plant communities and their associated indicator species. There were clear differences in communities between the connected floodplains and isolated floodplains. Pioneer and early-successional communities, which are resistant to flood disturbance, were found only in the connected floodplains. 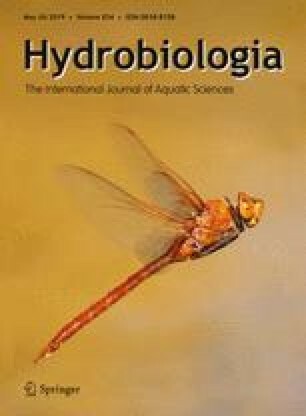 In contrast, diverse aquatic-macrophytic communities, adapted to long flood duration, and late-successional communities sensitive to flooding disturbance were found mainly in the isolated floodplains. β-turnover was the main driver in species compositions in both types of floodplain. The isolated floodplains had a longer flood duration, and their soils had a finer texture, higher moisture content, and were more acidic compared to the connected floodplains. Flood duration and topological elevation were identified as the most important environmental variables with respect to plant community composition. Our results suggest that reinstatement of lateral connectivity is necessary to restore the fluvial native vegetation in the isolated floodplains of a region with a monsoonal climate. The online version of this article ( https://doi.org/10.1007/s10750-019-3921-z) contains supplementary material, which is available to authorized users. The authors thank Hyunsuk Cho and Jongseo Won of the Inha University for their help in the field survey. The authors thank also the editor and reviewers for their thoughtful comments and inputs toward improving our manuscript. This research was supported by a grant from the River Restoration Program for Developing Coexistence between Nature and Human (Green River) (12 technological innovation C02) of the Ministry of Land, Infrastructure and Transport, Republic of Korea. JGA was supported by a Ramón y Cajal fellowship of the Spanish Ministry of Economy, Industry and Competitiveness (RYC-2016-20528). De Caceres, M., F. Jansen & M. M. De Caceres, 2016. Package ‘indicspecies’. http://cran.r-project.org, Accessed 12 Dec 2016. HRFC, 2017. Water Resources Management Information Systems. Han River Flood Control Office, Seoul, Korea. http://www.wamis.go.kr/ENG/, Accessed 30 Aug 2017. KFS, 2017. Korean Plant Names Index. Korea Forest Service, Daejeon, Korea. http://www.nature.go.kr. Accessed 30 Aug 2017. Oksanen, J., F. G. Blanchet, R. Kindt, P. Legendre, P. R. Minchin, R. B. O’Hara, G. L. Simpson, P. Solymos, M. H. H. Stevens & H. Wagner, 2016. Package ‘vegan’, community ecology package. http://vegan.r-forge.r-project.org, Accessed on 12 Dec 2016. Pinheiro, J., D. Bates, S. DebRoy & D. Sarkar, 2016. nlme: Linear and nonlinear mixed effects models. R package version 3.1-117. http://CRAN.R-project.org/package=nlme. Accessed 12 Dec 2016. R Core Team, 2017. R: A language and environment for statistical computing. Vienna. http://www.R-project.org. Accessed 10 Sep 2017.